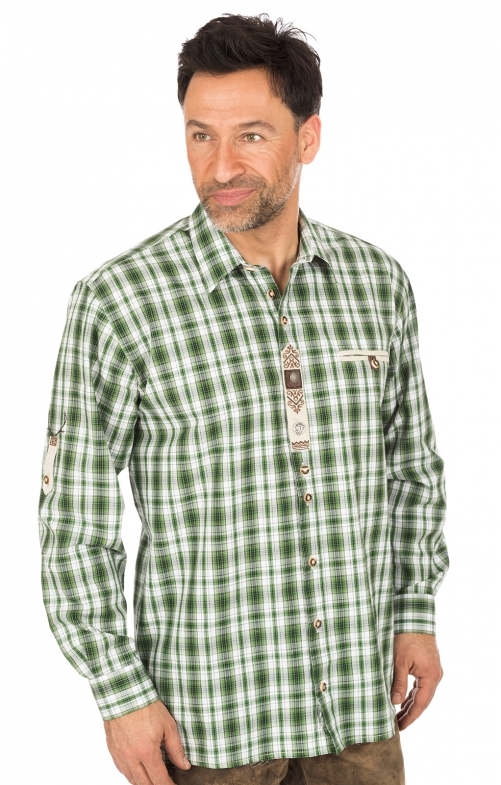 Orbis traditional shirt in great colour accent colour green. Where are you going to the next beer garden? With this feel-good shirt you are not only true to style but also comfortably dressed. The elaborate details on the Orbs shirt are beautiful eye-catchers. Even the little arm tie with which the shirt can be carried rolled up is embroidered with a deer motif. The buttons are made very natural and form together with the embroidered latch front a very nice unity. Additional freedom of movement is ensured by the small crease in the back. The shirt is made in comfort fit and fits all leather trousers colours.